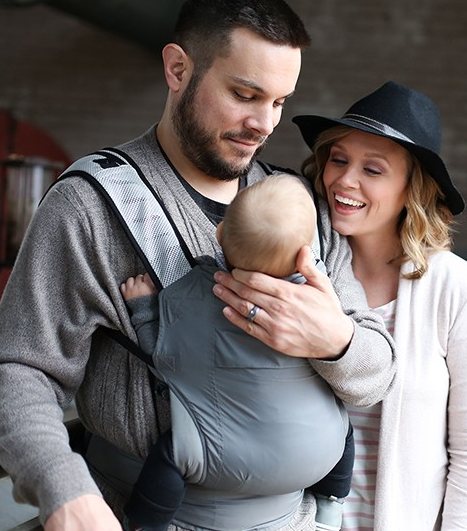 Sleepy Nico Alfie with comfy cord in stock now at Sling Spot! 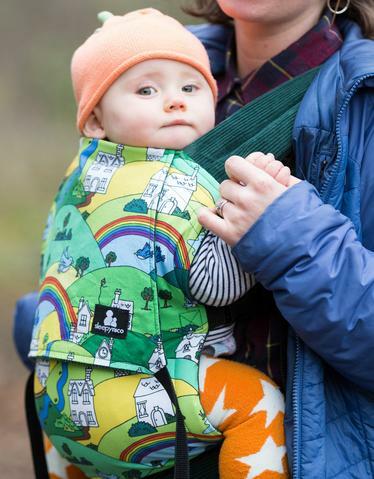 Sleepy Nico Alfie – a delightfully simple and comfortable baby carrier available in this gorgeous, fun fabric of a rural scene. Straps come in red, black or green! 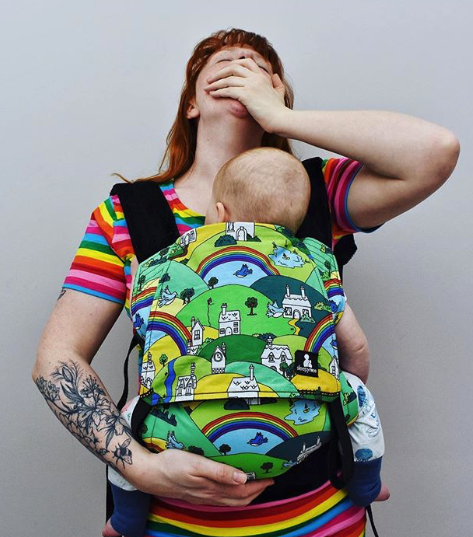 Sleepy Nico carriers are one of the most beloved among Sheffield parents; the combination of the cheery prints, the soft cord, the gentle flexible padding, the comfort and flexibility for carrying with cross or rucksack style straps. Information about using buckle carriers can be found on the Carrying Matters website. The design and construction of the Sleepy Nico carrier conform to BS EN 13209-2:2005. Sleepy Nico is an award-winning baby brand based in the heart of Suffolk. They design and create a beautiful selection of bespoke baby slings and toddler carriers along with a host of accessories. They hold the ethos that they want to enable families to spend time together, and to enjoy the closeness and freedom that carrying your child brings. All their carriers are made in the UK by dedicated seamstresses and tested to British safety standards.